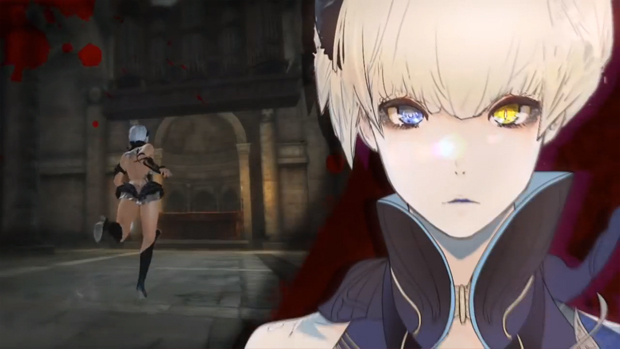 Tecmo Koei has released three videos demonstrating the gameplay of Deception IV: Blood Ties, coming to PlayStation 3 and PlayStation Vita. In each, a different person is killed by a complex set of traps chained together, including bear traps, wall spikes, an iron maiden and so much more. What appears to be new in this installment is an increase in the number of traps you can implement at one time. In prior games, players were limited to one trap each of floor, wall and ceiling types. Here we see five traps being used at once, with three of them assigned to the 'X' button and selections made with L & R. You know what this means? Mad combos, that's what it means. I want this badly. The Deception series is one of my all-time favorites and stands apart as a very different kind of game to play. You're constantly on the defensive, always running, but when you manage to get a group of traps set and an enemy walks right into your nefarious plans, it is sublime. I wish Tecmo would tell me when this is releasing in North America, because I am so ready to give them money for it.